Bremen/Dubai. The focus of SIKORA’s presentation at ArabPlast in Dubai, 5 – 8 January 2019, lies on innovative measuring and control devices for online quality control of hoses and tubes as well as for inspection, sorting and analysis of plastic material. By using these devices, manufacturers can significantly improve product quality as well as processes. With the PURITY CONCEPT V, SIKORA underlines its Technology To Perfection claim and offers an automatic light table for sample testing or incoming goods inspection of plastic material. The material sample is placed on a sample tray and moved through the inspection area. Within seconds, the material is inspected automatically by a color camera and a projector marks the contaminated material directly on the sample tray. By analyzing the recorded images, contamination in transparent as well as diffuse and colored material are automatically detected, visualized and evaluated. A clear allocation of the contamination and follow-up inspection are possible at any time. The system is more accurate, more reproducible and is more reliable than human, eye and manual light table. It determines the size of contamination and, thus, contributes significantly to quality control and process optimization. 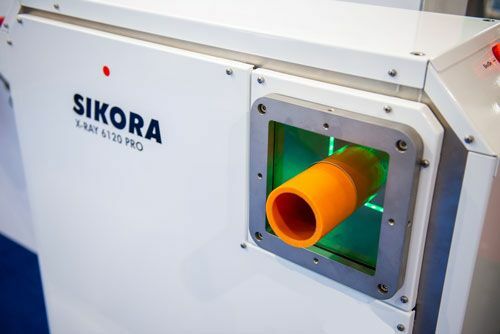 Furthermore, SIKORA’s product portfolio includes systems for offline inspection and analysis based on X-ray technology that detect and analyze contamination inside of plastic materials. 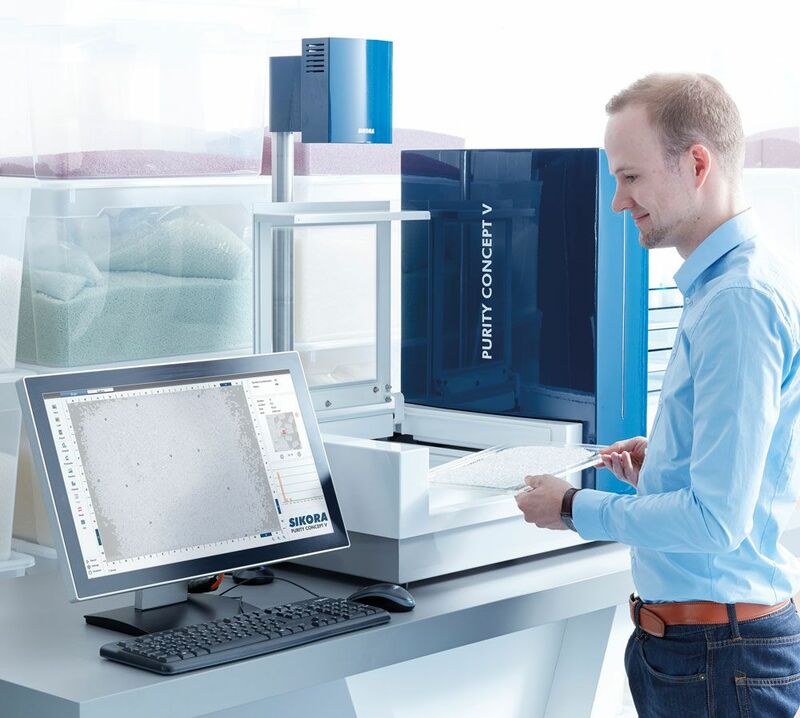 The PURITY CONCEPT V, an automatic light table for offline inspection and analysis of plastic materials, celebrates its premiere at the ArabPlast. By evaluating the images, contamination, such as “black specks” within transparent pellets as well as on the surface of opaque and colored materials, are automatically detected, visualized and evaluated. A further highlight is the PURITY SCANNER ADVANCED, an online system for inspection and sorting. The system combines X-ray with optical technology and detects contamination inside plastic pellets as well as on their surface. In addition to the X-ray camera, up to four optical cameras can be used depending on the expected type of contamination and application. The X-ray camera detects metallic contamination inside pellets, whereas optical cameras identify yellow discolorations as well as black specs inside transparent and opaque pellets. Furthermore, color deviations are detected by color cameras. Contaminated pellets are automatically sorted out. In the field of extrusion, SIKORA presents a wide range of systems that are used during the production of hoses, pipes and sheets and measure and control various product parameters such as diameter, ovality, wall thickness and product eccentricity. The systems are based on X-ray, laser, and millimeter wave technologies, tailored to the different measuring requirements. SIKORA offers, among others, X-ray measuring systems for the online quality control of products. With the X-RAY 6000 PRO, the inner and outer diameter, ovality, wall thickness as well as eccentricity of hoses and tubes are being measured directly during extrusion.